Typical old school game antagonist. 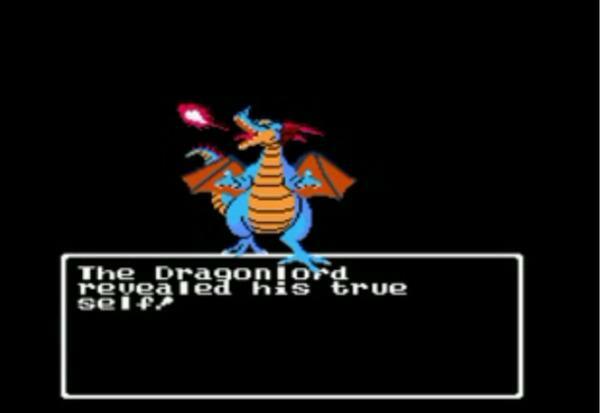 Traditionally, antagonists in video games have been treated as merely another obstacle, a dragon for the player to slay in pursuit of their goal. And this worked fine, back in the days when video game stories could be conveyed within a paragraph in the instruction booklet. Because of this early trend, that still persists today, many lists of the best video game villains will contain a lot of characters like Bowser or Dr. Robotnik, characters who are well known and liked mainly because their games are. With this article though, we want to focus on antagonists who are good characters in their own right. These guys aren’t just waiting for you at the end, they’re taking risks, planning, and changing along with the protagonist. And because of this, your struggle against them feels all the more real and rewarding. They become a part of the game themselves– antagonists so hateable that your desire to bring them down turns into a gameplay element. This article could never be complete without talking about this guy. After all, Kefka was one of the first main video game antagonists to really develop throughout the course of his story. He’s not super complex and definitely not subtle, but he manages to be both incredibly sadistic and brutal while also being funny as hell. If his magic doesn’t get you his bad puns will. One thing that sets Kefka apart from most earlier video game villains is that he doesn’t start off as a huge threat at the beginning of the game. Sure, he starts off with some political clout in the Gestahlian Empire and he was able to force main character Terra Branford to do some despicable things (via a mind control device) before the game begins. But earlier on, he seems much more like the comic relief villain who’s not good in a fight and plays second fiddle to the much more powerful and serious main antagonist (in this case, Emperor Gesthal). Kefka’s more sinister side first rears its ugly head when he poisons the water supply of the war torn city of Doma, killing nearly everyone there (even some of his own imperial soldiers invading the castle). From there, he continues to rise through the ranks of the Empire, commit more atrocities, and gain more magical abilities by torturing, killing, and absorbing otherworldly creatures called Espers. 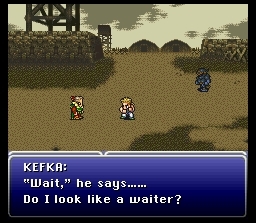 The player begins to recognize Kefka as an increasingly dangerous threat in the same way that the Empire begin to recognize the player’s characters as emerging threats. Kefka’s assent to power culminates about halfway through the game when he moves the Warring Triad (three statues that are the source of the world’s magic) out of alignment. Emperor Gesthal had been seeking this power source to tighten his control over the world, but Kefka reveals his true loyalties by killing the emperor and absorbing the power himself, becoming a god and reshaping the entire world (not to mention, scattering your party members all over said reshaped world). Many video game villains plot to carry out a plan like this, but Kefka is on of the few to actually achieve it, at least for a while. The one potentially good trait Kefka’s had the entire game was his ambition, and it’s led him to godhood. The grinning face of God. Kefka doesn’t show up as much in the second half of the game, but you can feel his influence in nearly every corner of the reshaped world (also known as the World of Ruin). Towns have been decimated, millions are dead, and the world is composed of more washed out and dead looking textures. You have the sense too that even if you kill Kefka, things can never really go back to the way they were. Instead of assuming control of the remnants of the Gestahlian Empire, Kefka simply remains in his tower at the center of the world (constructed from random debris) and rains down his “light of judgement” on random towns just for the fun of it. There is a cult dedicated to worshiping Kefka, but he never really interacts with them or uses them as henchmen, and if his violent reign continued, Kefka might have blown up the cultists anyway simply for a moment of enjoyment. When the heroes finally reassemble and attack Kefka in his tower, he’s developed a nihilistic attitude on life and the world. The once-ambitious psycho has gotten everything he ever wanted, and since his mad quest for dominance and power was the only thing he ever cared about, there’s nothing left for him to strive for now that it’s over. He’s really the perfect villain for a story that revolves the need to find something worth defending and fighting for. 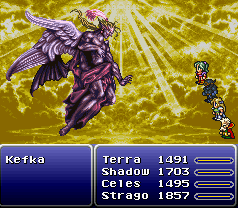 And in the end, that’s something that Kefka simply cannot do. He’s not simply a nemesis, but an extension of the game’s themes: his failings and flaws serve as a contrast to your own characters’ growth. When BioShock comes to mind, most people instantly think of Andrew Ryan. And it’s true, Andrew Ryan is also a great antagonist. He’s in many ways a tragic hero, brought down by his own hubris, his unfaltering belief in his own infallibility, and also Jack (you), his own illegitimate son. 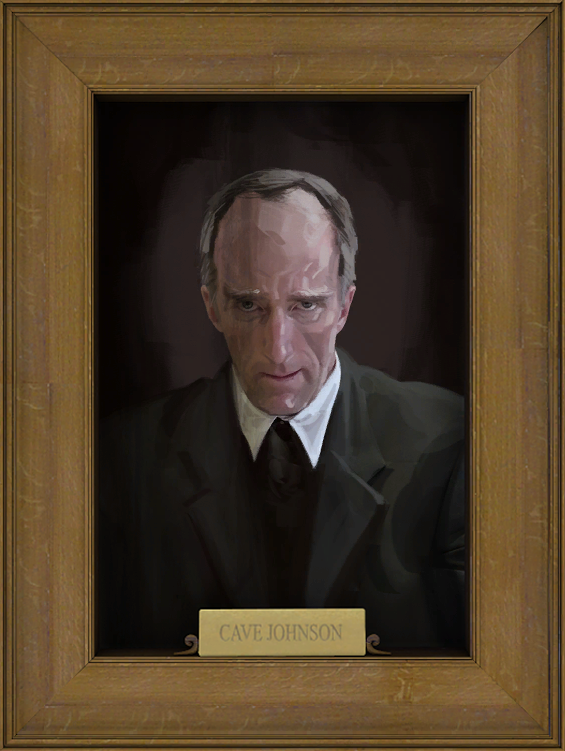 But both of us here at Cardinal Virtual have always been more interested in the true villain behind BioShock’s interesting plot. Unlike Ryan, Fontaine has no class to speak of. He isn’t trying to defend a grand vision or a sweeping philosophical belief, he’s simply out for himself and is willing to go to any lengths to achieve money and power. 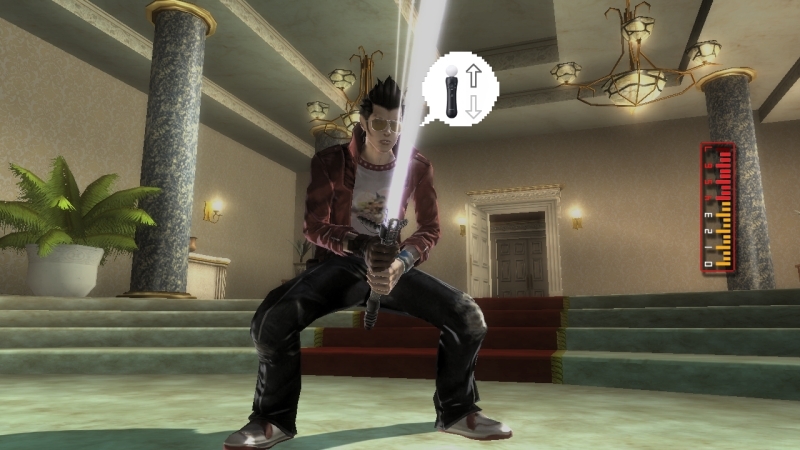 And that’s why he’s such a great villain: this inhibition allows him to hit the player harder than Ryan ever could. 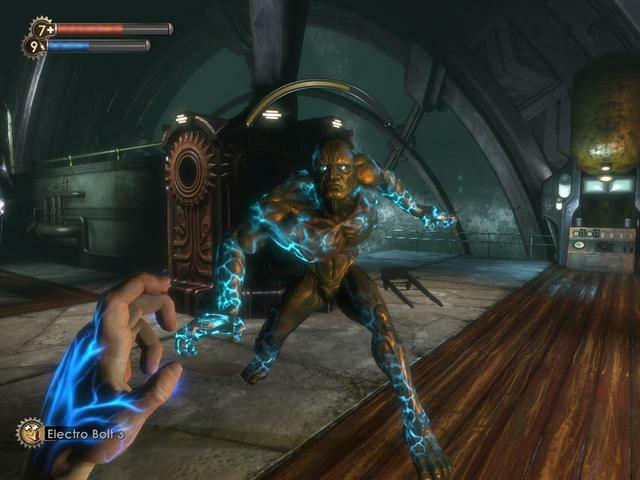 Fontaine essentially spends the first two thirds of the game disguised as a freedom fighter known as Atlas, aka the only person in the underwater hell hole Jack stumbles into who doesn’t seem to want him dead. 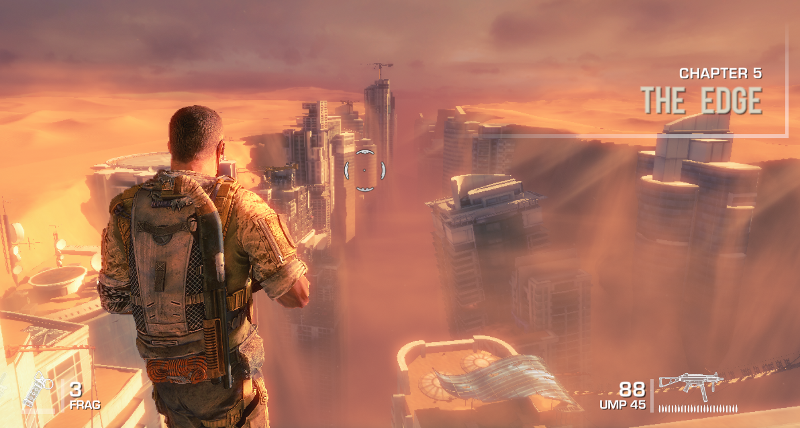 As Atlas, Fontaine goes to extreme lengths to gain the player’s sympathies, mainly by claiming that he has a wife and child who he’s trying to get out of the city. Fontaine later stages an explosion to make Jack believe that Ryan killed his family, which serves as the impetus to start pursuing Ryan directly. The fact that he makes the player sympathize with him makes the betrayal all the more devastating. And Fontaine is where the game’s ideas about control and family and freedom are thrown into their best relief. 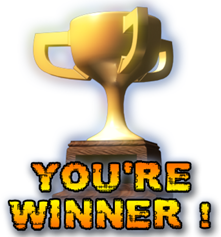 Sure the boss fight with Fontaine isn’t that great, but the way he dies more than makes up for it. 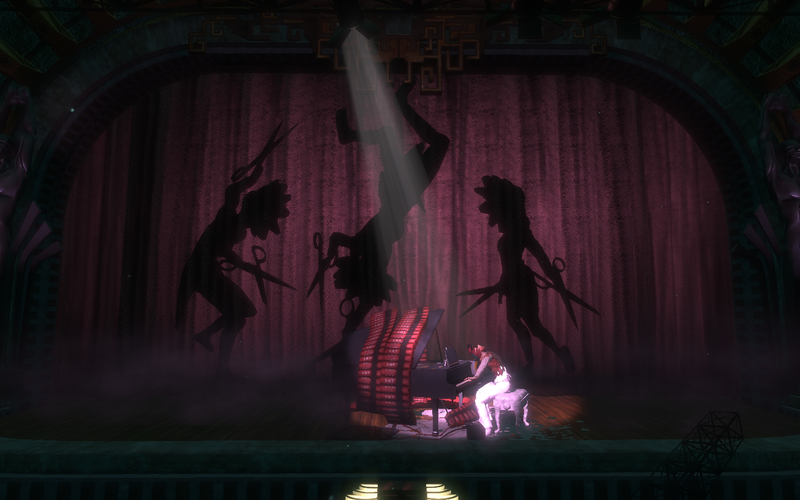 It’s interesting that Fontaine chose to appeal to Jack’s sympathies, when he had Jack mentally programmed as a child to do his bidding when he uttered the phrase “Would you kindly…” Obviously, from the developer’s perspective, Fontaine works to build camaraderie with Jack in order to make the story more interesting, but he also seems to take joy in the fact that he’s getting Ryan’s son to willingly kill his father (even though Jack isn’t aware of that fact for the most part), only using the “Would you kindly…” commands to nudge Jack in the right direction. 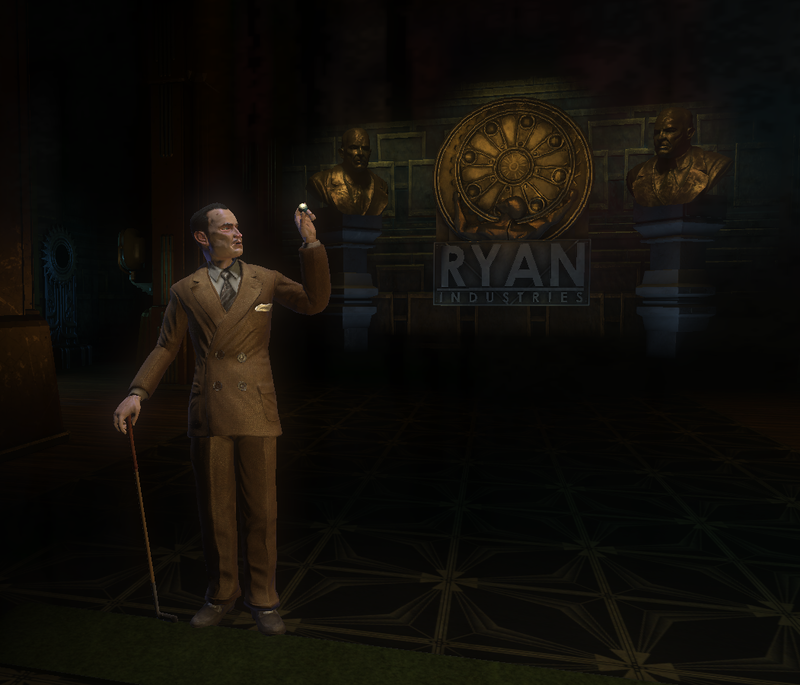 Later in the game, after Andrew Ryan’s death, Fontaine reveals his identity and turns against the player. His ability to manipulate Jack’s actions is canceled out by a another character so he resorts to a different phrase. 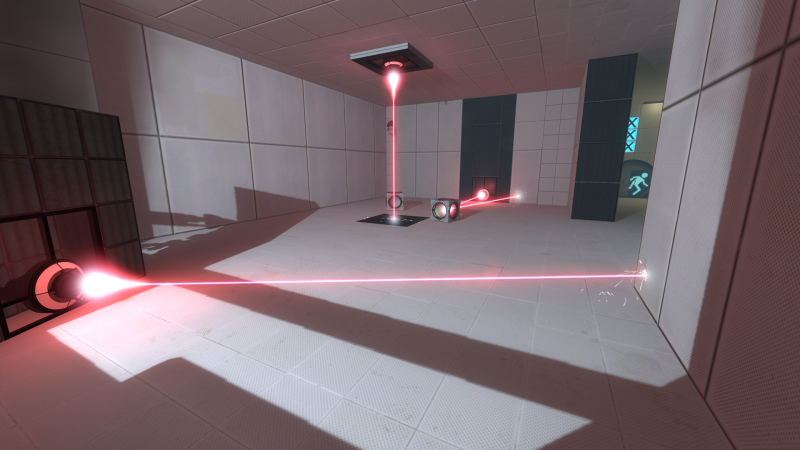 When he utters the words “Code Yellow”, the player’s maximum health decreases and continues to do so until the player manages to find a complete antidote to Fontaine’s mind control. The first time you play through this segment it’s terrifying, because you’re not sure if these effects are going to be permanent, you just want to get to that antidote as fast as possible. Even though your health will return once you consume the antidote and your health cannot be lowered to nothing (as far as we know at least), it definitely makes you want to kill Fontaine even more. 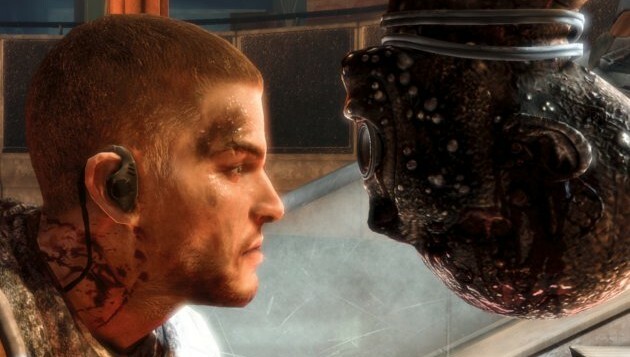 Ryan obstructs Jack in a narrative sense, but Fontaine’s control runs so deep that he directly fights the player themselves. He doesn’t simply represent a Randian ideology (of which he is the ultimate, twisted, conclusion), he represents the rules and obstructions of the game’s system. 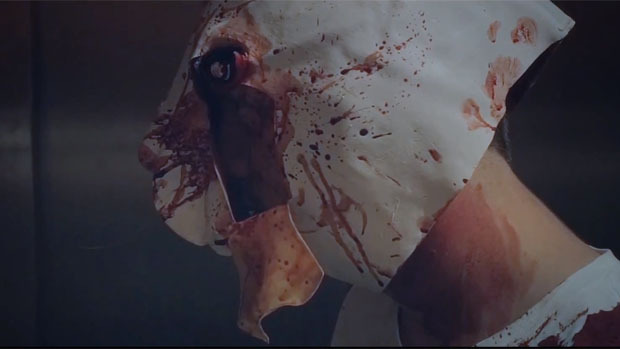 Despite Fontaine’s completely brutal and selfish exterior, you you can gleam a few hints of loneliness from some of his actions and dialogue, a feeling that he himself might not really be aware of. The wife and child lie that he feeds Jack is certainly a ploy to garner sympathy but you get the impression that part of him wishes it were true. Later he says “Maybe I’ll get a real family someday, they play well with the suckers.” You get the feeling, part of him would like to have an actual family for more than just the con game. Also he does seem to care for Jack a little bit, even though he needs him out of the way for his plan to succeed. Just before the final battle (after he’s genetically altered himself to hell and back), Fontaine admits “You were my ace in the hole, but you were also the closest thing I had to a son. And that’s why this hurts.” Fontaine feels a connection to Jack, even though he cares more about his own success. Mentally programming Jack to be his assassin is the closest this man’s ever come to really caring about another. Of course, at the end of the boss fight, when Fontaine has Jack on the ropes, the “Little Sisters” come to their rescuer’s aid (or to their oppressor’s aid for some reason if you’re aiming for the bad ending) and finish off Fontaine once and for all. The perfect end to a nearly perfect game. 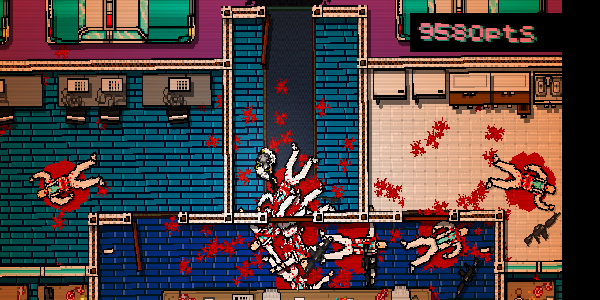 Cleaning up crime in the worst possible ways. Most Grand Theft Auto antagonists mainly appear at the beginning of the game to set up the conflict and again at the end when the protagonist finally finishes them off. 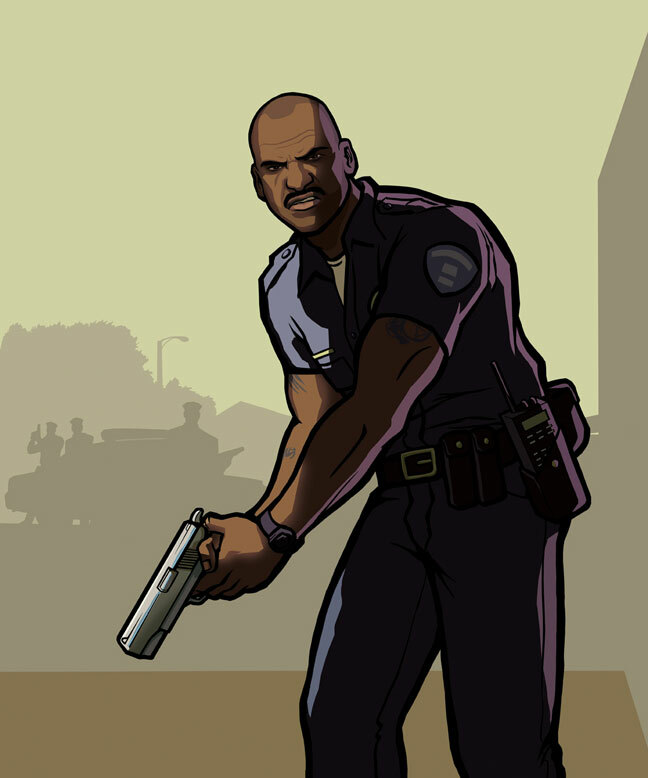 Officer Tenpenny from San Andreas on the other hand is a consistent presence throughout the game and is the first antagonist Rockstar seemed to put a lot of effort into developing. The fact that Samuel L. Jackson voices him doesn’t hurt either. Tenpenny and his underlings use their law enforcement clout to pit gangs against each other and even goes so far as to sponsor a drug operation aimed at making Grove Street kids into addicts in a ploy to reduce gang violence. Tenpenny rationalizes all this by saying it’s for the greater good but in reality his actions are just as destructive as any gang violence he manages to prevent, not to mention all the law enforcement personnel he has killed to cover his tracks. 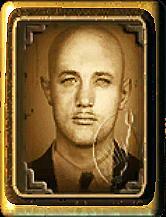 Throughout the game, Tenpenny coerces many gang members and cops into his corrupt way of operating, but he seems to take real pleasure in manipulating player controlled Carl Johnson. He was involved in the murder of Carl’s mother. At the start of the game, when Carl returns to Los Santos to attend her funeral, Tenpenny accosts him and threatens to frame Carl for the death of a cop (whom Tenpenny had actually killed), if Carl doesn’t do some jobs for him. What really sets Tenpenny apart from all the other corrupt and terrible people in the Grand Theft Auto world is his confidence in how justified his terrible crimes are. He’s the perfect character for GTA’s America: simultaneously completely corrupt and yet still clinging to an absurd moral high ground. Other characters in the series (like GTA IV’s fellow corrupt cop Francis McReary), echo this personality trait, but none of them have nearly as big a negative impact on the world as Tenpenny does. He terrorized inner-city Los Santos to such a degree that when he’s finally put on trial, his acquittal (due to the witnesses he forced Carl to kill for him) causes a full city wide riot that lasts until his death at the end of the game. How he got this way we never find out. Maybe he witnessed one too many brutalities growing up, or perhaps the futility of the war on drugs caused him to snap. All the same, when he’s crawling out of his wrecked firetruck and bleeding out in the street after an attempted escape from Carl and the city went awry, you can’t help but feel that he got what was coming to him. He’s not just a villain, he’s the living embodiment of everything wrong with The System.